Where to begin. 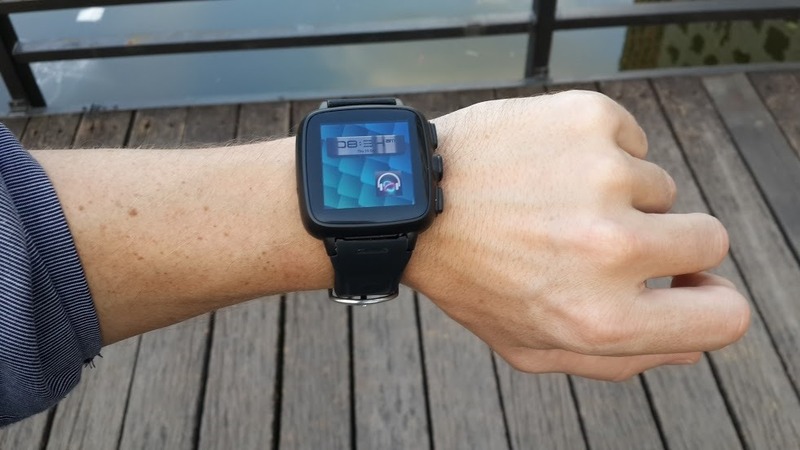 First things first, this isn't your typical Kickstarter-funded smartwatch that syncs with a smartphone somehow differently than the other umpteen options. 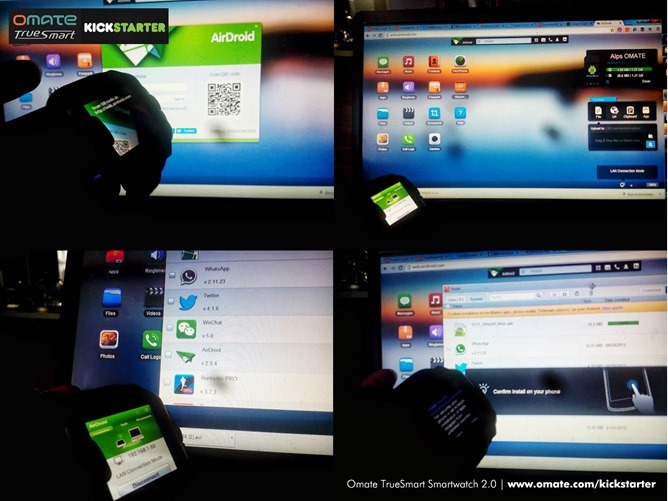 The Omate TrueSmart truly is a smart watch, as it incases its own dual-core processor running Android 4.2.2. This distinguishing feature has attracted over 4,000 backers to part with $1 million, ten times more than the $100,000 goal Omate was aiming for. David ripped this watch a new one when its campaign first begun, but I think it deserves a new start. 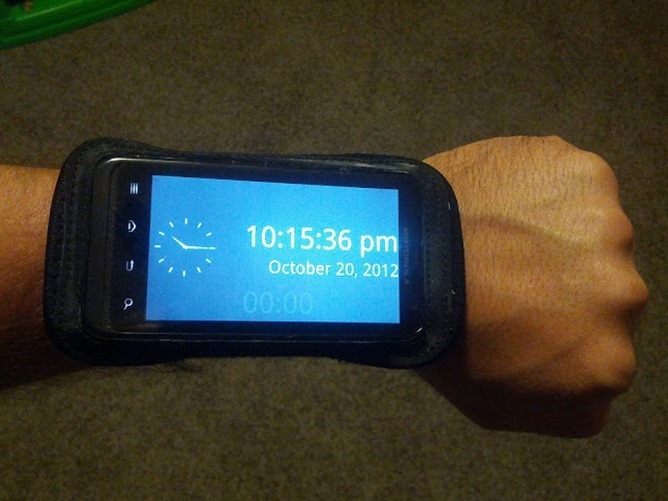 If you haven't been following this campaign, I present to you, the Omate TrueSmart smartwatch. Sorry, I just don't get tired of re-using that photo. But in my defense, David did describe the TrueSmart as being "as close to literally being a smartphone on your wrist as possible without actually just attaching a smartphone to your wrist with some Velcro." With a pitch as nice as that one, I just had to Sammy Sosa it. Anyways, here is the real TrueSmart. 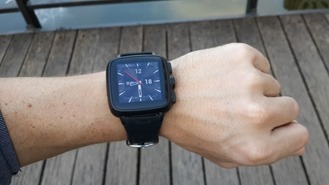 Yes, as the picture above shows, this watch has higher specs than some smartphones. With its own MicroSIM card, it's capable of making its own phone calls, and if you pair it with Google Glass, who even needs to hold a computer anymore? Now, given that the TrueSmart has blown through all of its stretch goals, the final product will ship with sapphire glass, support for 720p video recording, and the ability to swap out for an extra battery. With such a strong showing of support, Omate has rolled out a steady stream of updates documenting their process. 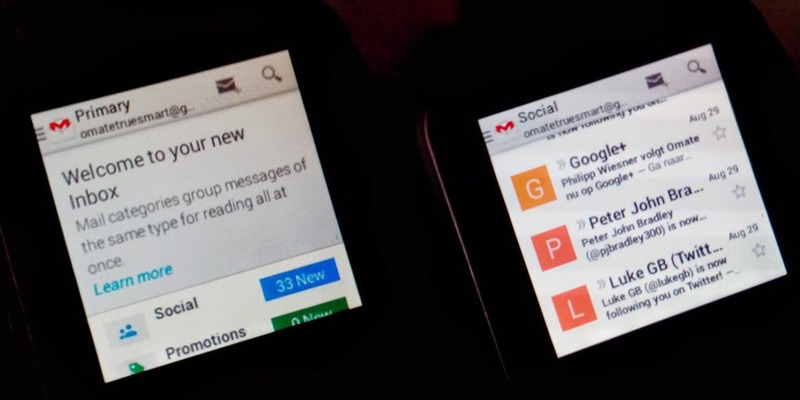 Some of their more recent videos show a prototype with a working launcher and support for resizing widgets. 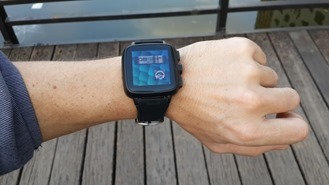 The watch's custom UI is theme-able and comes with over twenty clockfaces to choose from, offering an extra degree of flair that likely still won't compensate for how unfashionable a watch of this size is. 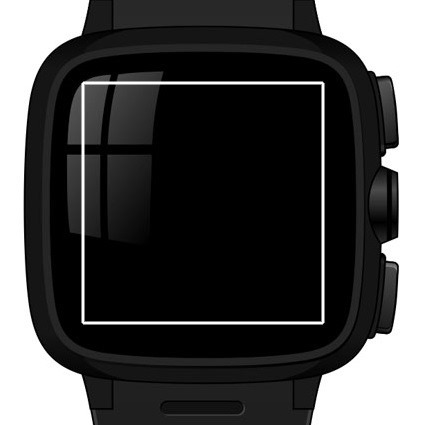 If you're about to become the proud owner of one of these puppies, here's a glimpse of what it may look like on your wrist. Omate has also provided images of specific apps running on the TrueSmart's tiny 1.53-inch 240x240 display. AirDroid runs just fine - granted, AirDroid doesn't exactly require much interaction from users on the smartphone side of things. On the other hand (teehee), the Gmail picture gives a better glimpse of how apps scale to fit on such a small screen. So you can read emails just fine, but can you respond to them? Yes, actually. It's perfectly possible to peck out full-length messages. See for yourself. 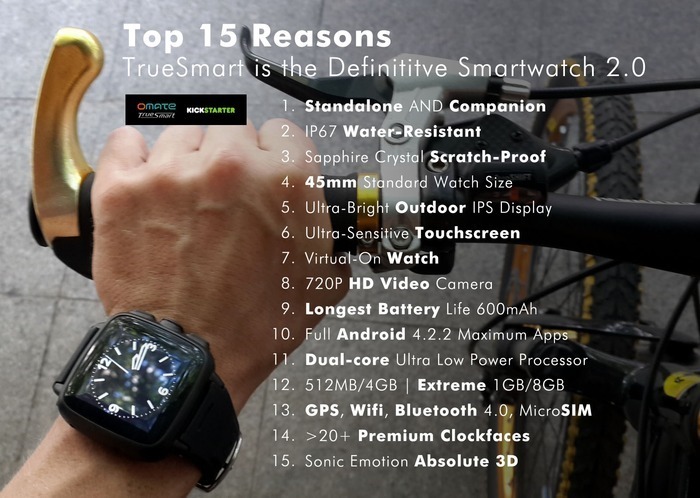 Omate aims to ship TrueSmart watches out to backers as soon as this November (October for the developer edition). I didn't back the project, but I only hope I'm fortunate enough to come across someone wearing one of these in the wild. I'm sure I'll be able to spot them from a mile away.